Siliguri: Chief Minister Mamata Banerjee has announced that her government will review the Gorkhaland Territorial Administration (GTA) Accord to explore a permanent solution to the demand for self-rule by the people of Darjeeling Hills. Banerjee was addressing state government organised celebrations of Netaji Subhas Chandra Bose’s birth anniversary at Mall in Darjeeling town this afternoon. “…We want a permanent solution so that development of the Hills is not hampered,” the Chief Minister said in her speech. GTA Accord was inked in 2011 between the state, the Centre and, the Gorkha Janmukti Morcha, which was then spearheading the second bout for Gorkhaland state to be carved out of Bengal. The Accord paved way for the formation of GTA, a semi-autonomous body under a state Act. But even after this, the aspiration of the Hill people for a separate state remains, which they believe will strengthen their identity through self-rule. Keeping this in mind, Banerjee made the announcement in Darjeeling today. This attains much significance as irrespective of the outcome of the Lok Sabha polls this year; her government is here to stay until the next Assembly election in 2021. Banerjee today also took a dig at the BJP-led Central government. Chief Minister Mamata Banerjee has announced that her government will review the Gorkhaland Territorial Administration (GTA) Accord to explore a permanent solution to the demand for self-rule by the people of Darjeeling Hills. 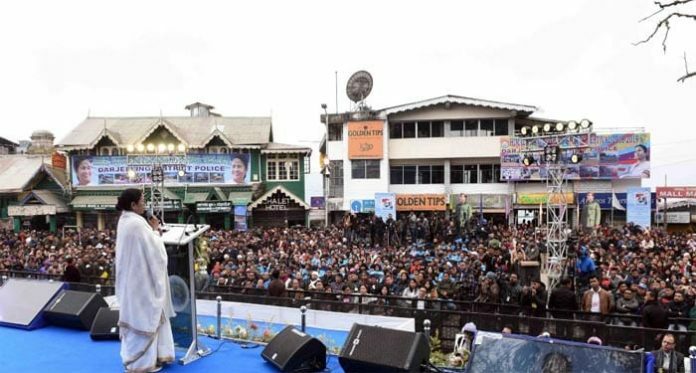 Banerjee was addressing state government organised celebrations of Netaji Subhas Chandra Bose’s birth anniversary at Mall in Darjeeling town this afternoon.